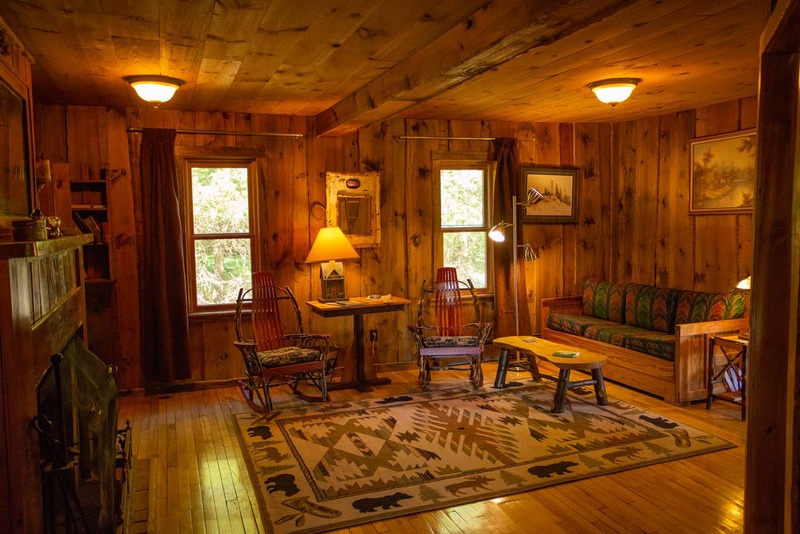 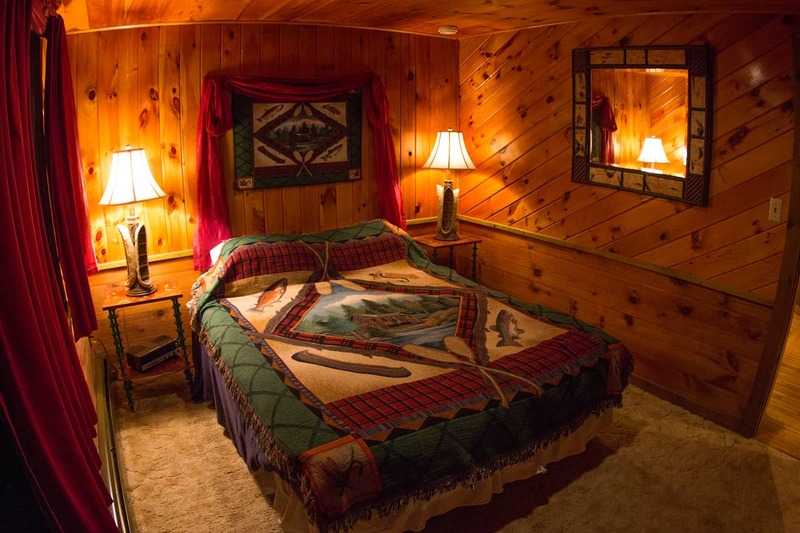 The Woodsmoke suite is on the bottom floor of the Guesthouse with a beautiful original living room hardwood floor, immense fireplace, double Jacuzzi with the additional benefit of a separate shower, scenic lakeview kitchen/dining room, 2 bedrooms also with lake view, and a fold out couch. 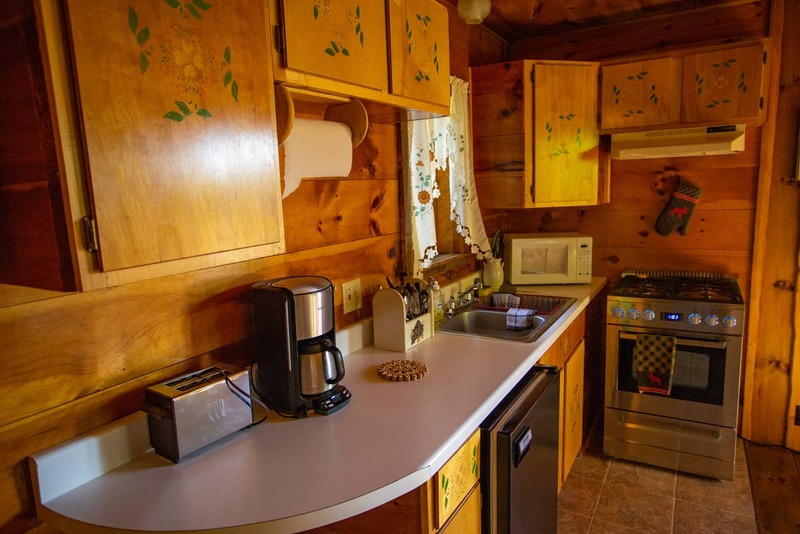 Its spaciousness and warmth from the originality of its design makes you feel comfortable like no new construction can. 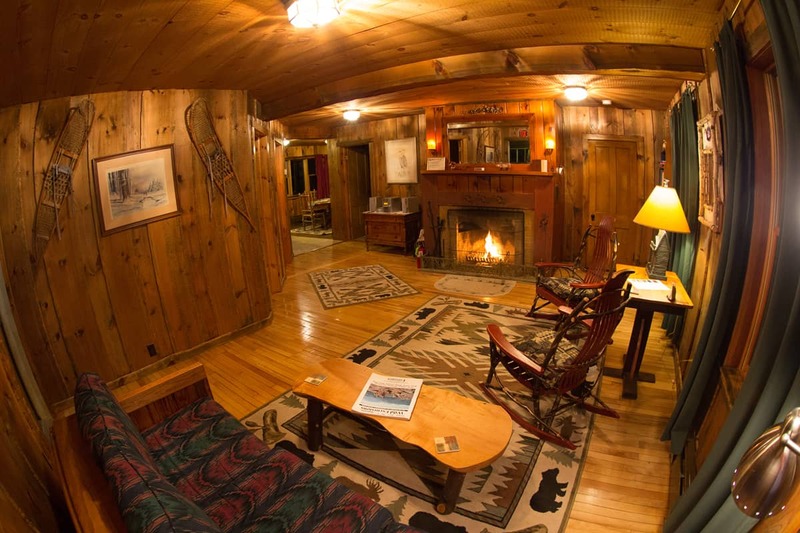 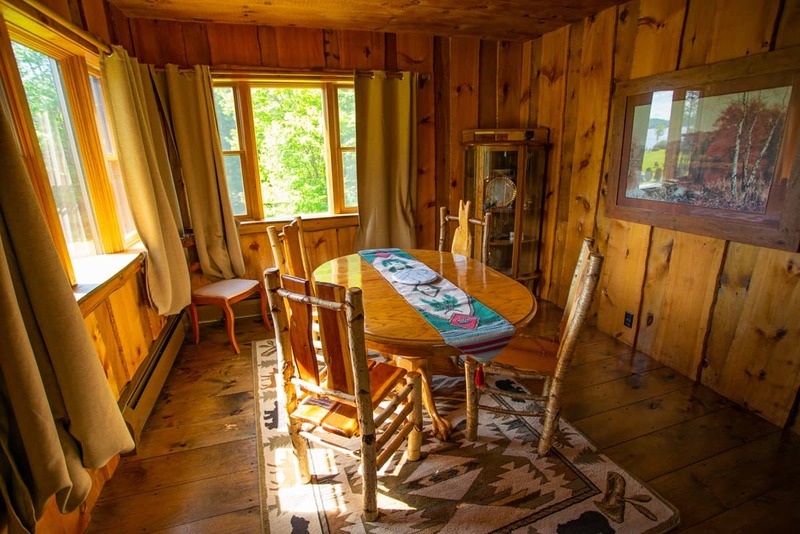 It encourages you to have someone come in to sit in front of the fire or on the grassy front lawn on top of the knoll and tell you stories of Adirondack lore.